Designed by Jesus Gasca, the Lau Dining table is all about structural simplicity and timeless design. Crafted from sumptuous natural ash, the swift dining table brings a neutral feel to an interior pairing with a wide variety of modern and classical styled furnishings. The graceful lines of Jesus Gasca’s design are achieved through the expert craftsmanship of Spanish woodworkers, distinctive curved moulding along the sides and the smooth grained textured of the table top. Designed for everyday living, this sturdy table top rests on four tapered legs each of which is set at an angle to create a modern profile while also enabling more legroom underneath. Smoothly carved from, the Lau comes in a choice of finishes and sizes to blend within any contemporary dining space. Graceful lines emulating structural simplicity and timeless design. A sturdy design suitable for everyday living, tapered legs creating a modern profile. 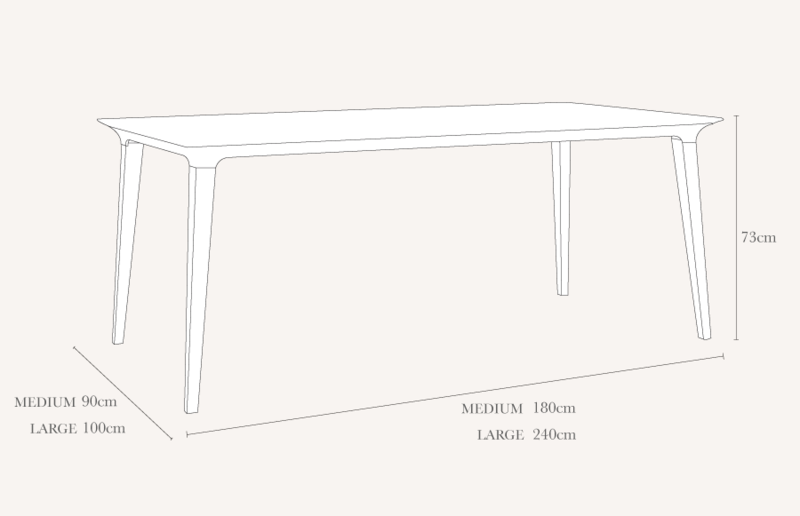 Also available in dark shades, a table easy to blend within any contemporary living space. A bought unseen/online very satisfied with product. Looks lovely and just as imagined and true to online pics. Durability of product, well time will tell. Although easy to assemble it would have been great if delivery people could have assembled and removed packaging for disposal as is the practice of... Read More. A bought unseen/online very satisfied with product. Looks lovely and just as imagined and true to online pics. Durability of product, well time will tell. Although easy to assemble it would have been great if delivery people could have assembled and removed packaging for disposal as is the practice of the likes of M&S.